I’m always a huge fan of tracks from the 90’s golden age of hip-hop that are slightly faster and more on the disco tip. Generally more at the front end of the 1990’s there are a bunch of classics like De La Soul’s “Roller Skating Jam” or Black Sheep‘s “Strobelite Honey” that always kill it on the dancefloor. Another track on that same type of tempo (105 bpm) and vibe is Positive K‘s “I Got A Man“. As stated by Complex pretty good article on the subject (link), it is on the biggest one hit wonders in the history of rap. This single actually peaked at #14 on the Billboard charts! 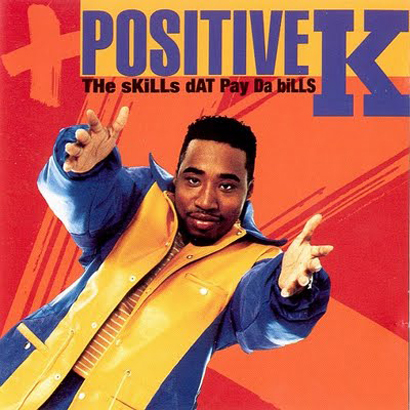 A very little known fact about this track is that Positive K actually did all female vocals for the back and forth by pitching up his voice in post-production. The track features a bunch of samples but mainly the backing track is a 1980 disco single “Rescue Me” by A Taste of Honey. Also, the video as expected is pretty damn priceless. s.
I’m in Toronto for a gig tonight and I brought the 12″ so let’s see if it gets people moving!